Authorities in Binh Thuan Province are trying to deal with the real estate fever in the area. In the past month, a large number of cars with number plates from HCM City, Lam Dong, and Khanh Hoa provinces have been seen on the road to Thien Nghiep Commune's centre where Phan Thiet Airport is supposed to be built. There are also real estate advertising banners put up along the road. Many people have come to Tien Thanh Commune to buy land. 1,000 square metres of agricultural land is being sold for several billions of VND. A 1,000 square metre plot of land located next to the road near Thien Nghiep Commune has increased from VND100m-300m to over VND2bn (USD86,200). The price for a square metre of land in Phan Thiet City has increased from VND7m-8m to VND12m-15m. According to the traders, the prices increase because of the announcement of USD1.2bn in real estate projects in the area. In the last three months of 2018, it was announced that Novaland's Nova Hills project, Goldsand Hill Villa project of VNGroup and FLC Mui Ne and Beach Resort of FLC Group would be built in Binh Thuan. In early 2019, more projects that cost a total USD385m were announced and Phan Thiet Airport will be built in the third quarter. Despite the increased prices, successful deals are far and few. The authorities of Thien Nghiep Commune said real estate investors were spreading false information to fuel property speculation. Once those investors left, the prices will drop. Pham Van Hai, a real estate broker in Phan Thiet City, confirmed that there is false information. The brokers even tried to sell lands that were included in urban planning. "Some investors deliberately convert land zoning to property usage, build roads and houses that are not in accordance to any planning," Hai said. 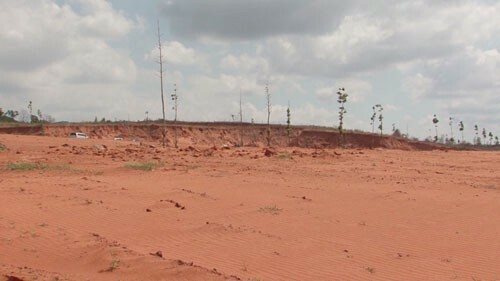 Binh Thuan Province authorities have asked local agencies to stop dealing with land dividing and levelling requests. The localities authorities must tighten monitoring over the projects and land use in their areas. The Department of Construction was asked to work with the Department of Natural Resources and Environment to monitor the market to prevent real estate bubbles and have suitable adjustments.